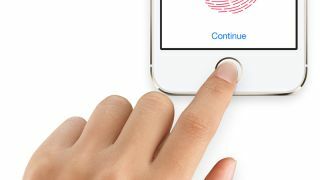 Touch ID was a major feature of the iPhone 5S, so it's fully expected that it will make the jump to the iPhone 6, especially as Apple is opening it up to developers with iOS 8. Indeed China Times claims that it will be coming to the iPhone 6, as well as the iPad Air 2 and iPad mini 3 and that as such Apple is significantly increasing its Touch ID orders. But not only that, apparently Apple is also improving it by increasing the durability of the sensor module. That makes sense as it's likely to get a lot more use once third party apps start tapping in to it. We've already heard rumours of Touch ID making it across to new Apple devices so we'd say this all sounds pretty likely. Apple has also long been looking into mobile payments and if it ever launches them then Touch ID may play a role, in which case improvements and a wider rollout would certainly be something Apple would want to do. The Samsung Galaxy S5 has a fingerprint scanner too.